"American Idol" Top 20 finalist Ryan Hammond performed an emotional cover of Lauren Daigle's Christian cross-over mega hit, "You Say." Hammond made it past thousands of others in the competition for the 17th season of the hit reality of Idol, which kicked off in March. “You say I am loved when I can’t feel a thing/ You say I am strong when I think I am weak/ You say I am held when I am falling short/ When I don’t belong, oh You say that I am Yours/ And I believe/ What You say of me/ I believe,” Hammond belted out with his soulful voice. A pastor's kid, the singer developed his confidence and love for performing in church. 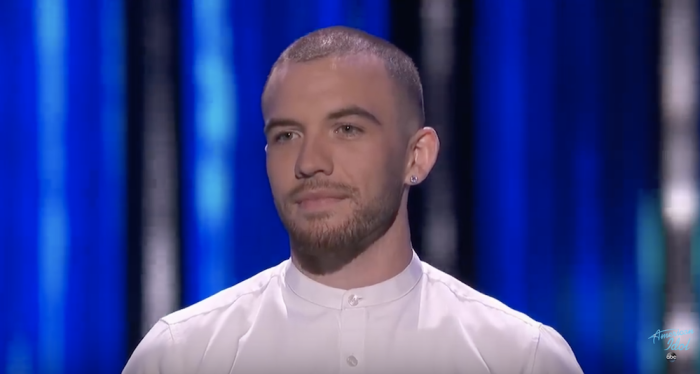 Hammond explained to the judges, during his initial audition, that his father is a known worship pastor and as a result, he grew up singing in the church. When judge Katy Perry, likewise a pastor's kid, asked if his father happened to be Mark Hammond, he confirmed it. She shared that she believed her parents might have “praised the Lord” with the contestants. Hammond’s folks have been present and supporting their son. His father was noticeably moved by his son’s performance of “You Say.” The proud dad grasped his chest and sang along to the worshipful lyrics. Daigle, also a former "American Idol" contestant who did not make it far, is now a Grammy-winning Contemporary Christian Music star. Her latest album, Look Up Child, debuted at No. 3 on the all-genre Billboard Top 200 Album Chart and No. 1 on the iTunes chart. "You Say," was apart of that cross over success and is still breaking records for Daigle. Hammond is a standout competitor in the competition and is celebrating a new him. In 2018 he was approved for a gastric bypass procedure and since then he’s intentionally lost 175 pounds. Viewers can tune in to the ABC's singing competition show on Sunday to see if Hammond advances to the next round.